With double-wall sides, this tub keeps contents cooler, longer. It can also function as a punch bowl, bread roll bowl, salad or fruit bowl. 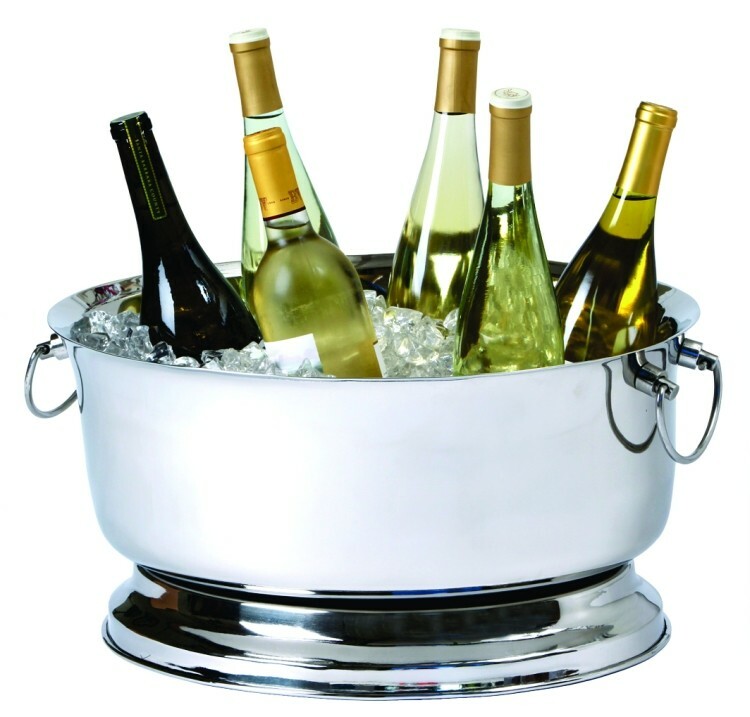 Made of high polished stainless steel, it holds up to eight bottles. Hinged handles. Pedestal base. 16 quart rim-full capacity.